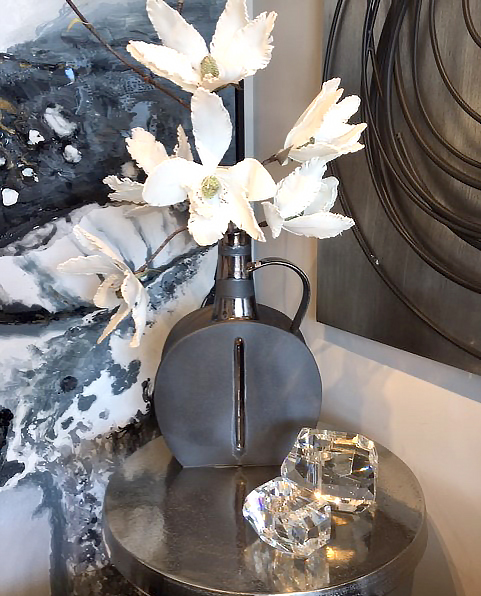 We have been busy unpacking and styling the perfect vignettes to showcase our latest arrivals. 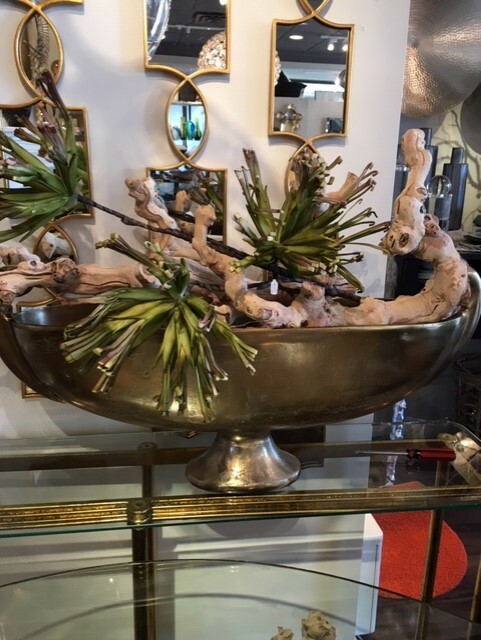 You will find Modern Accents for every surface of your space. 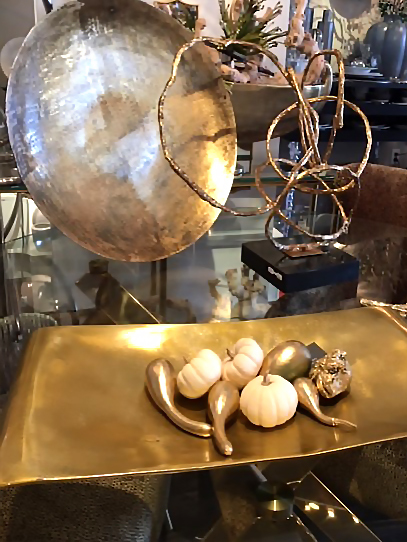 We are pretty excited about the new wall decor, artwork, furniture, lighting, decorative accents and giftware and yes even some glimpses of holiday/seasonal decor are making their appearance. Here are a few highlights, but we encourage you to stop by so we can show you what is new in person. 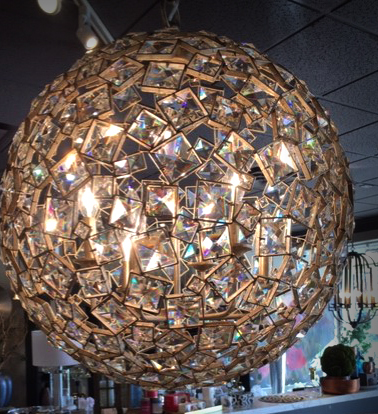 Bring whimsical sparkle and a memorable focal point to your space with this oversized spherical light fixture. 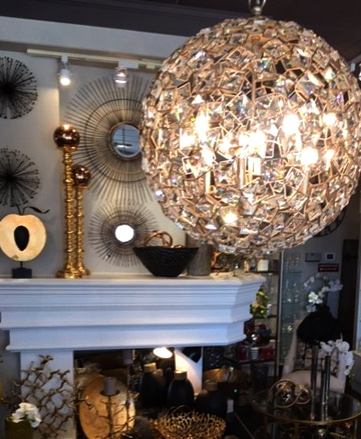 This stunning orb is made up of four sizes of square clear crystals each floating in its own frame all elegantly finished in silver leaf. This one will take your breath away! 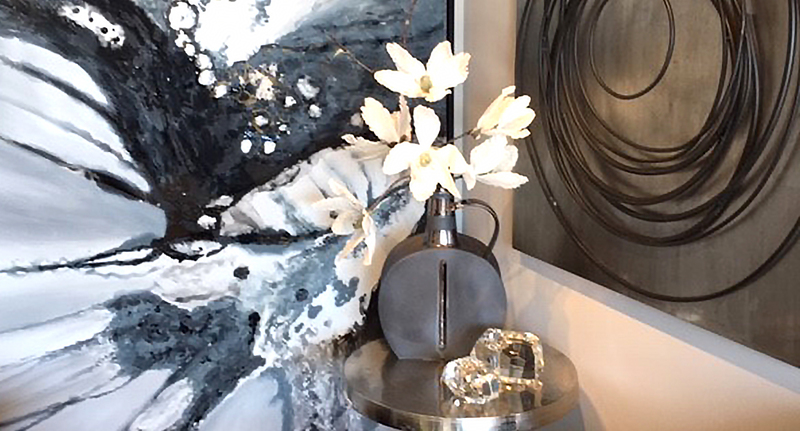 Leave no surface untouched with the modern accents new in that celebrate texture, depth, and varying textiles. 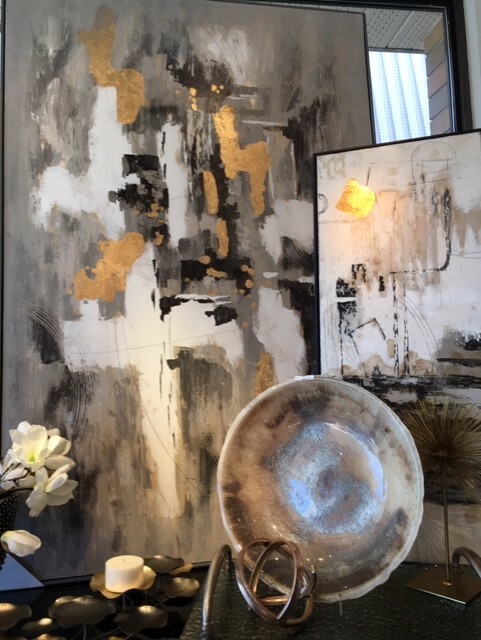 We welcome you to come in to look and touch as today’s design style embraces the tactile. 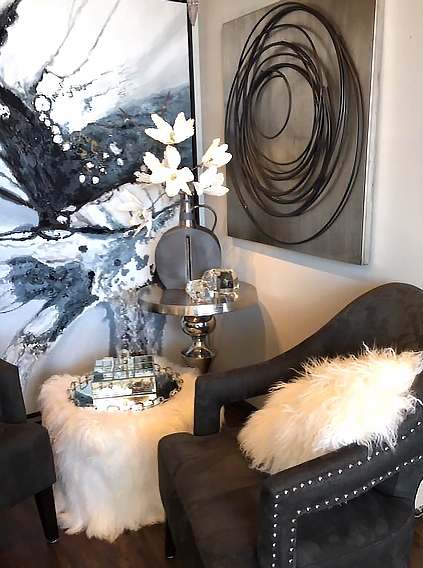 Your space will be more interesting and feel warm when you contrast industrial metalic pieces and sleek mirrored and glass accents with softer textures like velvet, linen and Mongolian fur. In addition to those textures you can feel you should also consider visual texture. Introduce these through pattern and artwork. Speaking of texture and pattern. This wingback lounge chair wrapped in a plush mini cheetah chenille accented by antique bronze nail head trim brings both to your living pace. It is completed with a button tufted exterior, set on brushed brass metal dowel legs. 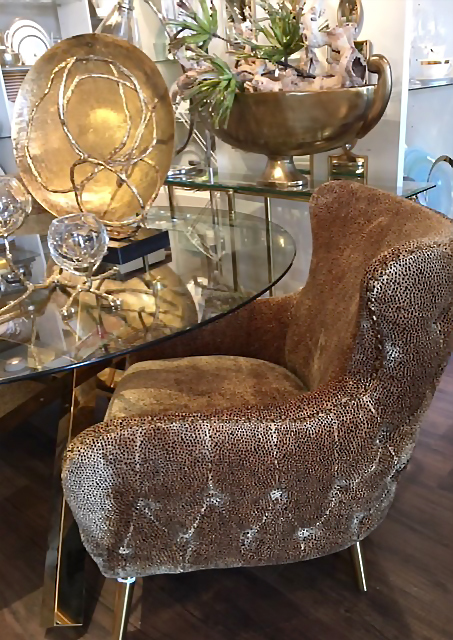 You could say we are wild for this accent chair and it basks in the glow of all these new pieces in gold. How big is the new ball light fixture? It’s beautiful. Would it go with the 2 chests I ordered? How much is it? Also the cheeta chair interesting? I apologize for our delayed response, but have passed on your inquiry to Delores. These are all really nice pieces. I believe the light fixture is 27 H X 24 Dia. (in). I will let her contact you with pricing and more information for it as well as those amazing chairs. They are even more “interesting” and stunning in person!